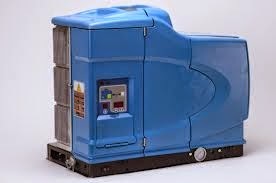 Did your Nordson ProBlue unit stop heating? It could be the heater. The heater (KNS0045 for 240V and KNS0046 for 480V) is cast in a protective block and the complete assembly can easily be changed with 2 bolts and thermal grease. It is very important to apply the thermal grease on the entire surface of the heater manifold. Spotty application can result in failure of the heater. If this does not resolve the heating issue, you could have a faulty RTD sensor, faulty over temp thermostat or faulty circuit board. Let us know if you need help troubleshooting.